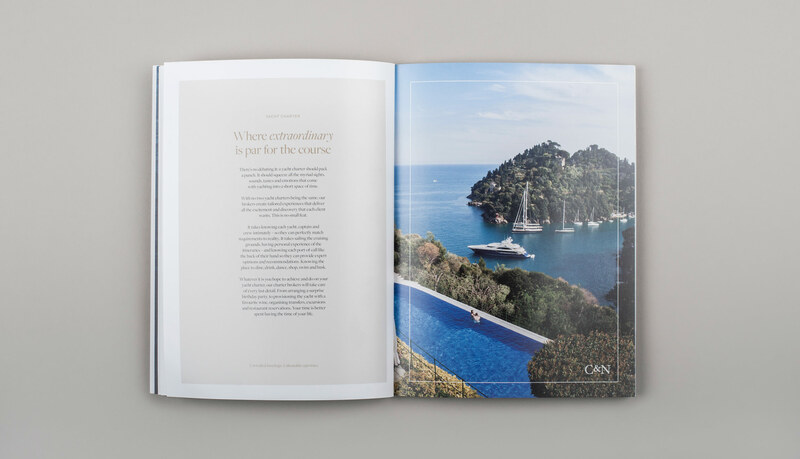 Camper & Nicholsons International is the global leader in all luxury yachting activities, specialising in the sale, purchase, charter, marketing, management and construction of the finest yachts in the world. 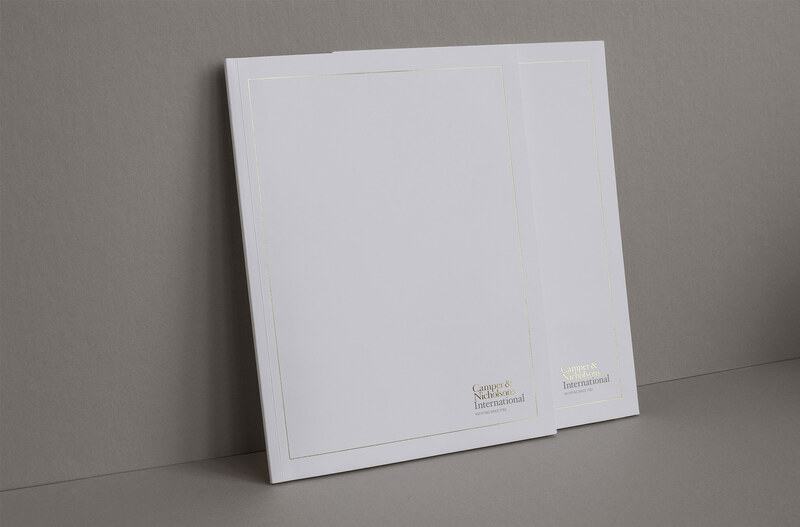 Helm collaborated with London studio Your Brand Matters to produce a lead corporate brochure, enabling C&NI to better promote their services within the market. 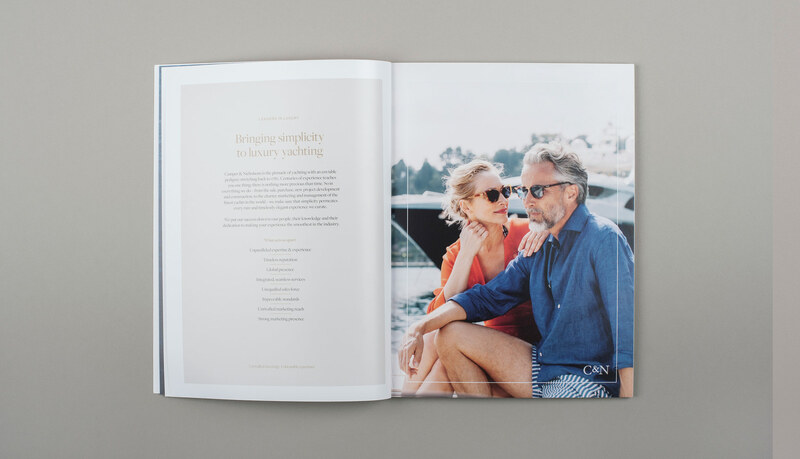 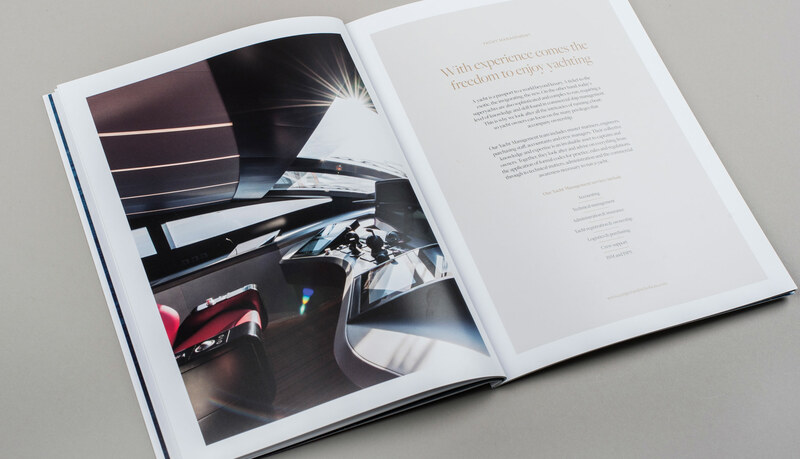 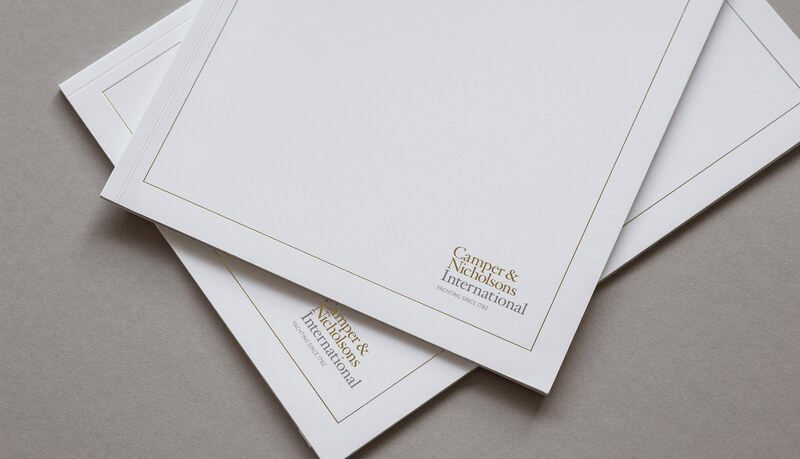 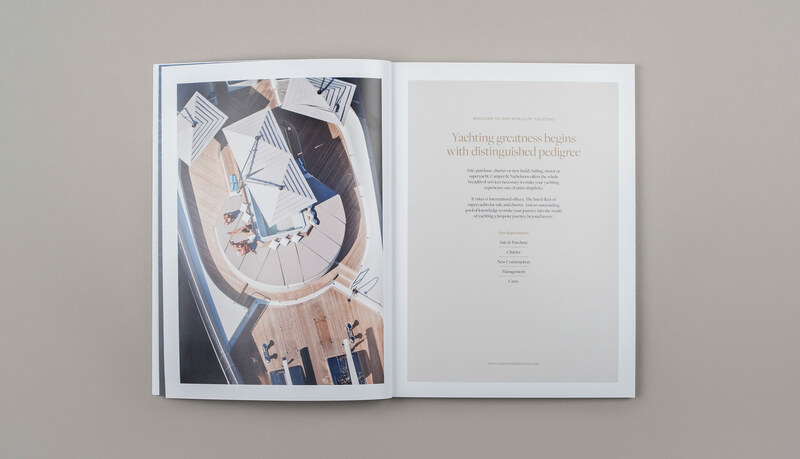 The design follows on from recent work on the Camper & Nicholsons brand under the Creative Direction of Andy Ellis, creating a clean, luxurious brand language that reinforces its position as the global leader in luxury yachting activities. 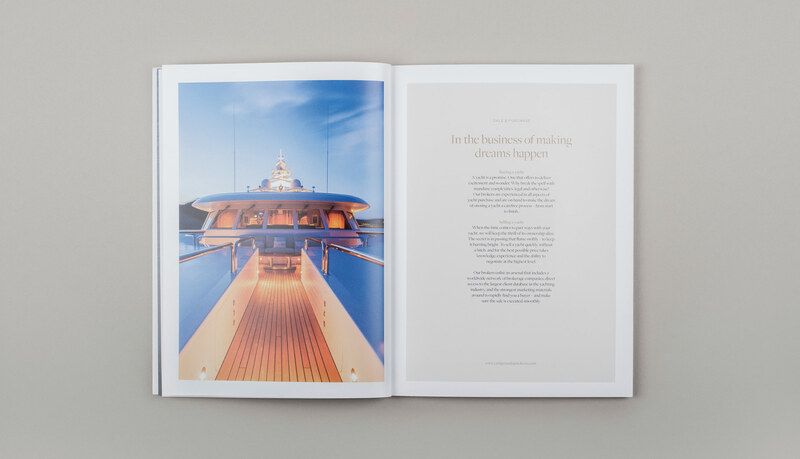 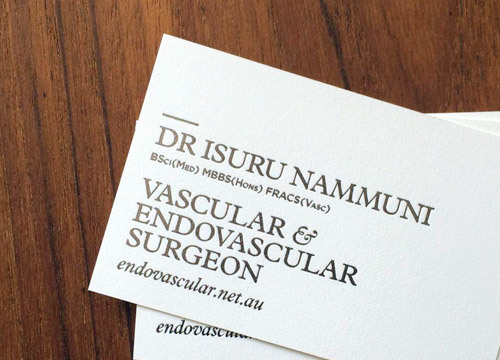 The layouts pair full page lavish imagery coupled with finely crafted typography.